Edited by Squee_1 at 08:57, 24 Nov 2018. 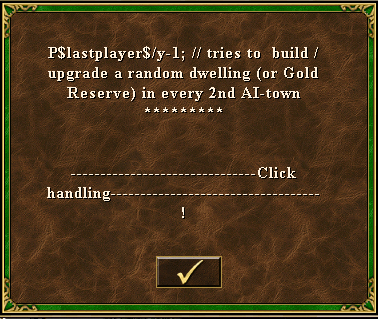 I'm old to Heroes 3, love this game till today, but im new to ERA and mods. I have HD+ installed, and would like to make use of the mods you have here, especially the safe SOD mod. Can you please explain how to use/download/where to put it ? Edited by RerryR at 12:57, 24 Nov 2018. Theres a little tutorial how to install mods and a lot of downloads.
" Failed to load angel.dll" - does anyone have an idea or help for me ? Some say 2.74 works best for now. I use the 2.77 and it works. Make sure to use the compatibility mode for WinXP or something like this. I'am sure you can also find help in the ERA 2 thread. 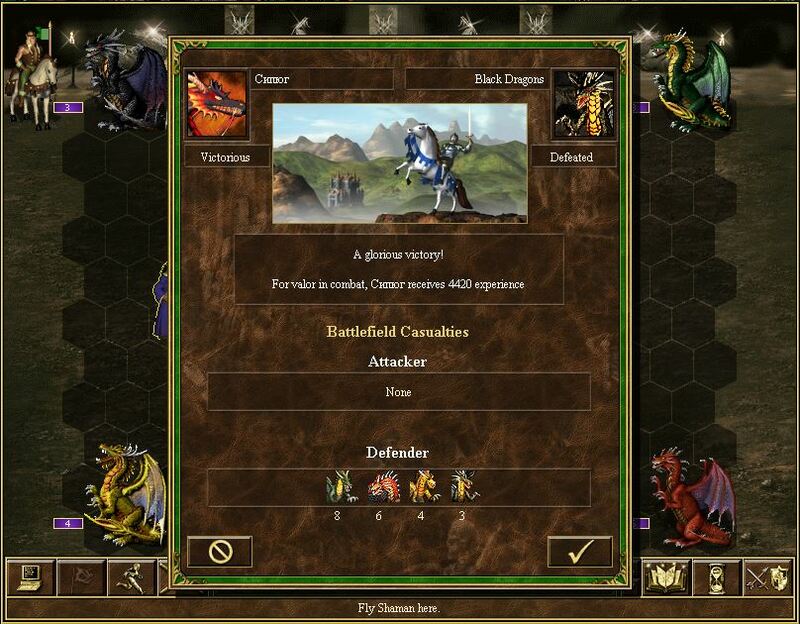 Someone has the OxFea (feanor) alternative fog of war mod, please? Saw a screen and is awesome, why isn't in the list? The mod where fog of war is semi transparent. I have only mod made by Bes. Hi, igrik. I don't understand what you mean by protection, are they impossible to reach? What's the objective of the mod? Artifacts cannot be steal now from under monsters. posted December 05, 2018 12:59 PM bonus applied by Maurice on 06 Dec 2018. People! Need help to testing. If there are errors, send the save and specify the list of installed mods. So I tested a bit and it works good so far. 1) every time I replay a battle some of my scripts which use the random function (VR:R) will generate a different value. So i do not have the "exact same" battle. What could I change to avoid that? 2) after the battle ends the ! ?BA1 trigger seems to run, which again sometimes triggers code which should only run when the battle has definitely ended. So what trigger could I use that let's say runs after your plugin? These are just to minor things I noticed. Otherwise great job. 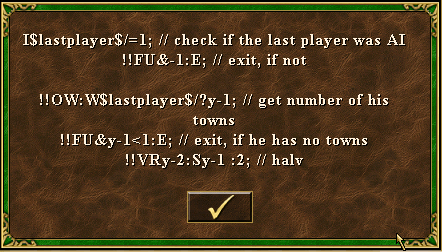 I wanted this function long ago in ERA and you made it. Thanks a lot and I recommend a QP for igrik for his work. Could somebody please teach me how to use XXL mod!? I installed it using Mod Manager but I can't find any place to select it in game or map editor! Edited by PIGGYChu620 at 15:29, 06 Dec 2018. 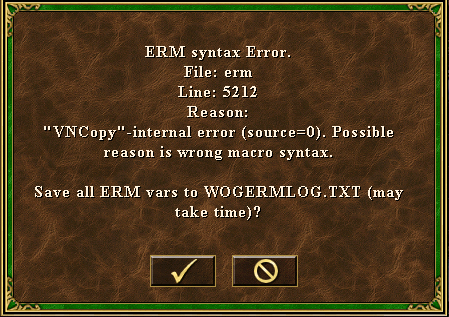 Could somebody please tell me what mod causes the following error please!? 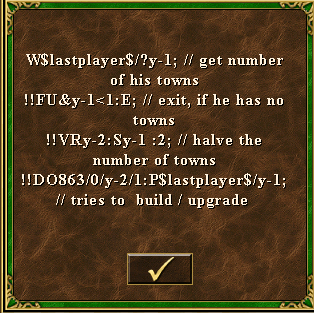 I had installed the WoG Revised and Wog PLUS, but the following errors keep showing up on EVERY SINGLE AI PLAYER!!! So basically it just rendered my game unplayable!!! Could somebody please be so kind and teach me how to fix it!? XXL is automatically installed, in editor XL maps become XXL, check coordinates range, you will see. It also allows playing XXL maps. So basically WoG PLUS is a failure mod! ?